La Gloria Cubana is, as the name would suggest, one of those cigar companies that began in Cuba. Indeed, they were doing quite well for themselves in Cuba, producing many fantastic and well-received vitolas that were well-loved in the parts of the world that bought them. They were sought after, and while they were never a huge company in Cuba, they were big enough that they had a following in the cigar market around the world, including in the United States. Of course, the Cuban revolution ruined the cigar industry in Cuba, as we all know. The companies were suddenly taken over by the government; their leadership, their master blenders, and the owners were all replaced by well-positioned members of the revolutionary party, and the cigars suffered for it. But what stagnated the cigar industry in Cuba made the cigar industry in the rest of the Americas all the better, as groups like La Gloria Cubana were reformed, often with their old staff and blenders, and began working with new tobaccos that they hadn’t had as much access to while in Cuba. This lead to things like the Serie R Esteli, a Nica puro that would’ve never been made before by a Cuban cigar company. So what makes this cigar so great? Well, to begin with, they let the tobacco mellow for a few years longer, which makes a great difference. 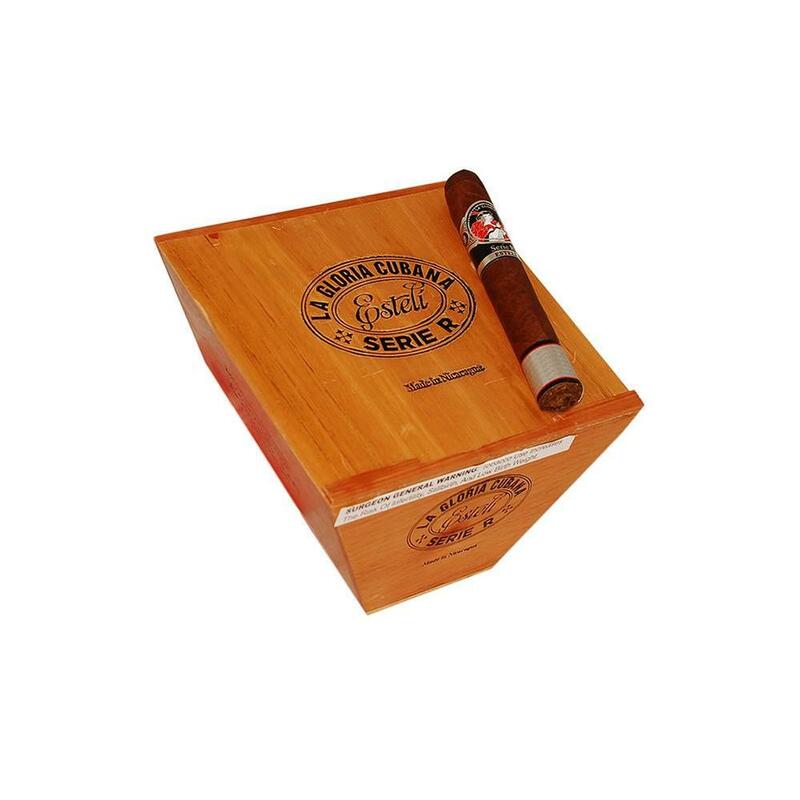 Add to this a dark and flavorful wrapper, and you have a tasty and full-bodied cigar that you will want to smoke again and again.